Open Educational Resources (OER) can be defined as teaching, learning, and research resources that reside in the public domain or have been released under an intellectual property license that permits their free use and/or re-purposing by others (Hewlett Foundation). The “open” in MOOCs refers to the courses being openly accessible to anyone. If, however, MOOCs are created using openly licensed re-usable lectures, videos, images, assessments etc, and released as re-usable, with open licenses, then they are OER. The most frequently used intellectual property rights mechanisms used to indicate the permissions for the creation and reuse of OER are Creative Commons (CC) licenses. These indicate the original authors’ permissions for reuse (copying), revision (customisation, including translation) and remixing (or combination with other materials), which allow for the legal redistribution and retention of the original or adapted materials. OER have been made available through a range of OER global initiatives, repositories and portals (e.g. MIT’s Open Courseware, Open University’s OpenLearn, Stanford’s ITunes U, Oxford University’s OpenSpires, Washington State’s Open Course Library, OERCommons, National repository of OER in India and OpenUCT at the University of Cape Town ). As an indication of the expectation of the potential benefit of OER to widen access to quality education and make it more affordable, the United Nations Educational, Scientific and Cultural Organisation (UNESCO) released the Paris OER Declaration at the World OER Congress in June 2012, following earlier calls for opening up education as in the 2006 Cape Town Open Education Declaration. Funding allocated to OER development in the United States and more recent priorities identified by the European Commission (2012) provides evidence of the OER principles in practice. The Commonwealth of Learning runs a OER Frequently Asked Questions (OERFAQ) Community of Practice. Register here. There are a number of challenges facing education, including ways to meet the demand for relevant, good quality, affordable education in a context where universities and colleges are under financial pressure and have limited human resources. Added to this the student population, especially in the Global South, is increasing rapidly as universal primary education increases. OER, as cost-effective teaching and learning materials, has been regarded as a potential solution to some of these problems. 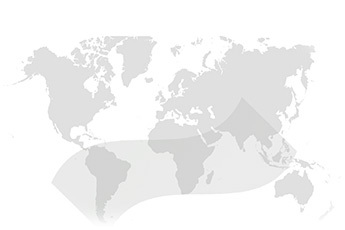 scalability of reach to anyone with Internet connectivity and a device that allows for reading, watching, responding and/or adapting materials. For students, OER offer free access to courses and even degree programs. They can also offer huge cost savings as alternatives to expensive textbooks. For teachers, ministries of education and governments, OER provide free and legal access to some of the world’s best courses. Educators can then adapt them to local languages and cultures and use them as a basis for innovation. OER make it possible for people of all ages and backgrounds to learn more about the world around them and access the tools they need to improve their lives and livelihoods. One of the earliest proponents of OER (although the name OER came later) was the Massachusetts Institute of Technology (MIT). In 1999, MIT Faculty considered how to use the Internet in pursuit of MIT’s mission to advance knowledge and educate students and in 2002 the MIT Open Courseware (OCW) project was born. On the 4th of April 2001, The New York Times announced that MIT had chosen “to post virtually all its course materials on the Web, free to everybody”. Today, there are now over 2000 courses freely available online and MIT OCW receives over 2 million visits per month. In 2002 UNESCO organized the 1st Global OER Forum in 2002 where the term Open Educational Resources (OER) was adopted. Prior to this a number of terms were used including “open content”, “learning objects”, “digital learning resources”, and “reusable digital learning resources” and some continue to be used as synonyms to OER. Apart from funding by the Hewlett Foundation for various OER initiatives, OER are encouraged and supported by (among others) UNESCO, The Commonwealth of Learning (COL), the International Development Research Centre IDRC and the Department for International Development (DFID) (the last two are funders of ROER4D). A group of universities from across the globe, with the support of the Hewlett foundation, formed the Open Education Consortium. They hold annual conferences to spread Open Education across the world and host events such as Open Education Week. As a number of philanthropic foundations and a few governments have already committed substantial funding to OER initiatives, and international agencies such as UNESCO and COL have called for extended commitment to OER, especially by countries in the Global South, it is necessary to search for evidence of how OER creation and use are influencing educational practices and policy in the Global South. This will help to ensure that education policy development initiatives and further expenditure by philanthropic foundations and governments are indeed achieving the outcomes of resourcing easily accessible, socially acceptable, high quality and affordable post-secondary education in the Global South. The so-called geo-political Global South has many problems that are similar to those experienced globally (for example: high cost of textbooks), but there are other problems unique to emerging economies, that require more attention by researchers (for example: how to use technology in areas where electricity supply is erratic). Various people or projects are researching the use and impact of OER. 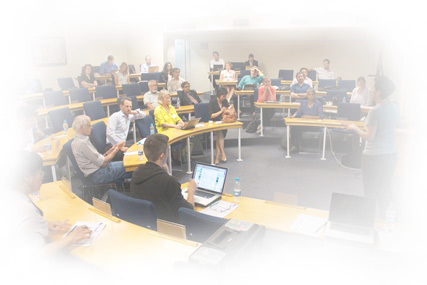 Some examples are the UK based OERHub at the Open University – UK, and our own ROER4D project hosted by the University of Cape Town in South Africa. The ROER4D bibliography provides easy access to a body of OER and open education research and includes peer reviewed articles, book chapters and reports.